Attention Right Handed Bowlers! 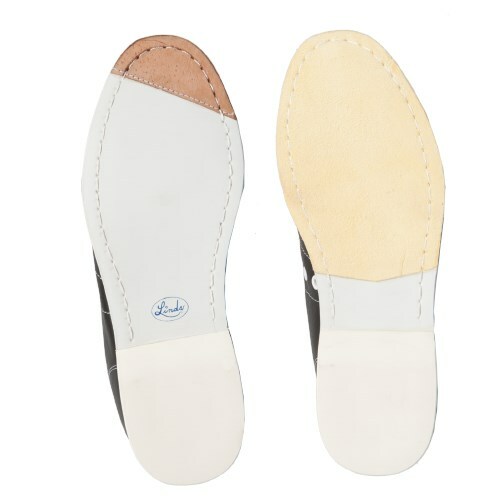 Linds has designed the Classic White bowing shoes made with US top grain leather just for you! This shoe also comes with removable antibacterial footbeds and a one year warranty! Excellent shoes, have last a long time. I have used Linds forever. They are comfortable, wear well. they are very comfortable and the buck skin make the slide very smooth. The best shoe on the market without interchangeable soles and heels. Very high quality, excellent price. Very pleased! I've worn my Linds since 1994. I wash the soles once a year. These shoes are actually sooo good! I've bowled 3 to 4 leagues a week in approx 30 states, wood and synthetic. I absolutely love that these shoes are made of real leather... very difficult to find anymore. When I replaced my old shoes which had a smooth slide, the new ones came with a suede sole instead of the smooth sole. Sticking became a major problem with inconsistent and unpredictable sliding. Using sliding powder became a problem for other bowlers so I quit wearing them and bought other brand with replaceable soles. I finally resorted to "True Slide" pasted on sole and am now wearing them since they're very comfortable. I have owned 3 pairs of Linds without a problem. Are these classics still built with the same exact material as your older classics? Hello, yes they are both made of US top grain leather. I lost the heel on the one shoe. Hopefully you have a place local to repair or would you rather I send them to you ? Hello! Unfortunately we do not have a place local to repair your shoes. If you purchased the shoes with bowling.com you can give us a call at 1(800)441-2695 and we can help you! Do these have the perforated or solid sole? Hi Ken. These will have solid soles. Linds has made some changes recently and I am not sure the custom options are being offered any more through pro-shops. You may call in to speak to one of our representatives to see if we can find an option that best meets your requirements. The shoes that were being made custom 30 years ago may be the same or similar to one of the Classic models we sell online. 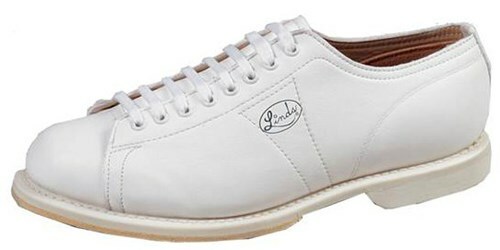 Does you company repair Linds bowling shoes owned for several years. 12/27/2016 - By Larry P.
Hi Larry. Unfortunately, we only sell Linds shoes, we do not repair them. You will need to contact Linds to get your Linds shoes repaired. Hello. This shoe is a regular width shoe. Yes, there will be leather on the sliding foot and rubber on the traction foot. How wide does the shoes come in? Hello. 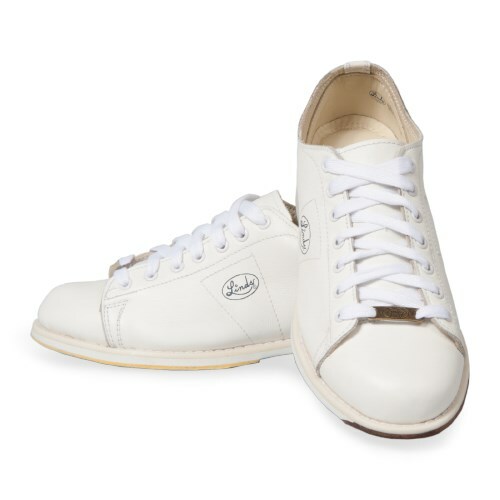 For the Linds Mens Classic White, it will only come in a standard D width. If you need a wide width, Linds has a EEE in the Linds Mens Classic Black Wide Width. I have owed 2 pairs of Linds over a span of 40 years. I now need a new pair. My other pairs were 12 D in size and width..however all my other regular shoes are size 13. Can I return these shoes if they do not fit right? With the True Fit Guarantee - what if they are too narrow and I would like a full refund or full credit for another pair? 11/23/2017 - By Big Red! This will be a regular standard D width. Unfortunately the white is not available in a wide width option. If wide width is EE what is medium width. Medium or standard width is a D width in mens. Hello Don! This shoe is for a right handed bowler. We do not have the white Linds shoe available for left hand. It should be the same match for you. Right Hand means that you are a right handed bowler. These will be a D width. Are the heels of the linds rubber? What if it doesn’t fix, what’s the return policy? Can I get a pair of custom measured shoes like I had back in the '70's? You would have to contact Linds directly to inquire about customer made shoes. The black version of this shoe will come in a 3E. Due to the time it takes to produce the Linds Mens Classic White Right Hand ball it will ship in 3 bus. days. We cannot ship this ball outside the United States.